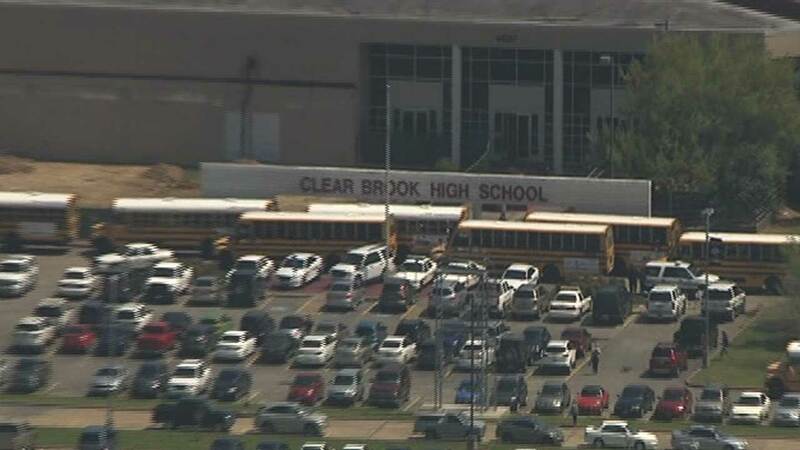 FRIENDSWOOD, TX (KTRK) -- According to school district officials, a student was stabbed during an altercation at Clear Brook High School in Friendswood. Clear Creek ISD spokesperson Elaina Polsen says the fight between two students occurred inside a biology classroom between class periods at about 1:45pm. During the altercation a male student was stabbed multiple times with a pocket knife. He was wounded in the leg, abdomen and neck. The 9th grader was alert when flown by Life Flight to Children's Memorial Hermann Hospital, where he's listed in fair condition. The suspect, a 10th grade male, is in custody. No other students were injured. "The other students who may have witnessed it immediately called for help," Polsen said. "There was a teacher in the room. Immediately administrators came, police officers -- who are stationed at all of our high schools too, and specifically at this campus -- were immediately on the scene. The suspect was taken into custody without incident. The campus was never on lockdown." "I saw ambulances, helicopter, and I saw the police shutting the gates to the entrances and the exits of the school," said junior Wafeeq Haq. Senior Keonnie Parrilla said, "The helicopter came over and everybody started freaking out. Of course, we're in high school so everyone was trying to see what was happening. Then we received news that we shouldn't go around the scene because it was a serious thing, it was just something that could be taken lightly." Administrators call the altercation an isolated incident and say that no other students were in danger. Students in the area were moved to different classrooms. Dismissal was delayed by only a few minutes. Extracurricular activities continued as usual. Additional officers will be on campus Friday as a precaution.